STATE CAPITOL, PHOENIX – Members of the Native American Caucus recently met for the first time this year and discussed taxation and gaming in Arizona. The meeting was well attended. “It is refreshing to see an increase in the number of legislators who attended the first meeting of the Native American Caucus. The caucus continues to serve as a forum to educate legislators concerning Indian Nations, what is happening to Indian people in Indian Nations, and how the state can help,” Rep. Albert Hale, D-St. Michaels (District 7), said. 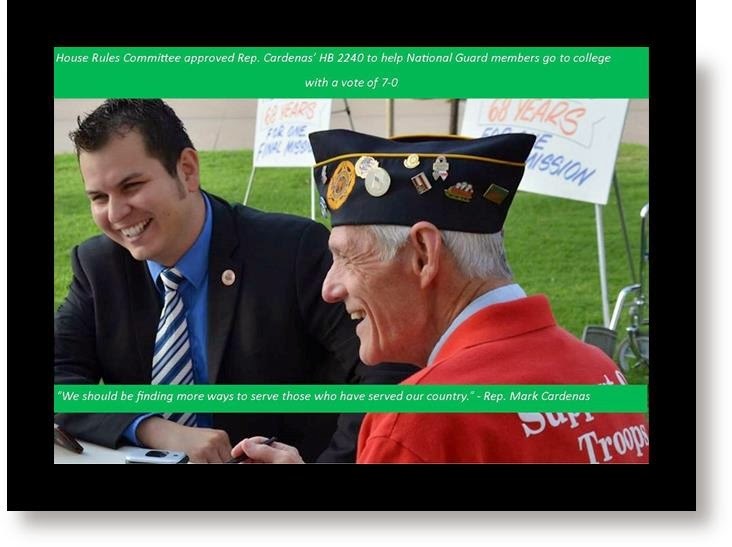 “The Native American Caucus is essential to informing our colleagues in the Legislature about current issues and historical concerns important to the 22 Native American Tribes and Nations in Arizona. The sales tax and gaming subjects were very educational to many legislators in attendance,” she said. Rep. Sally Ann Gonzales, D-Tucson (District 3), added that Native Americans contribute significantly to the state. “The first Native American Caucus meeting of the session was a total success. One of the caucus’ most important roles is to engage our colleagues here at the Capitol on the issues facing the indigenous peoples of Arizona and educate them on the contributions these indigenous people make to the state. 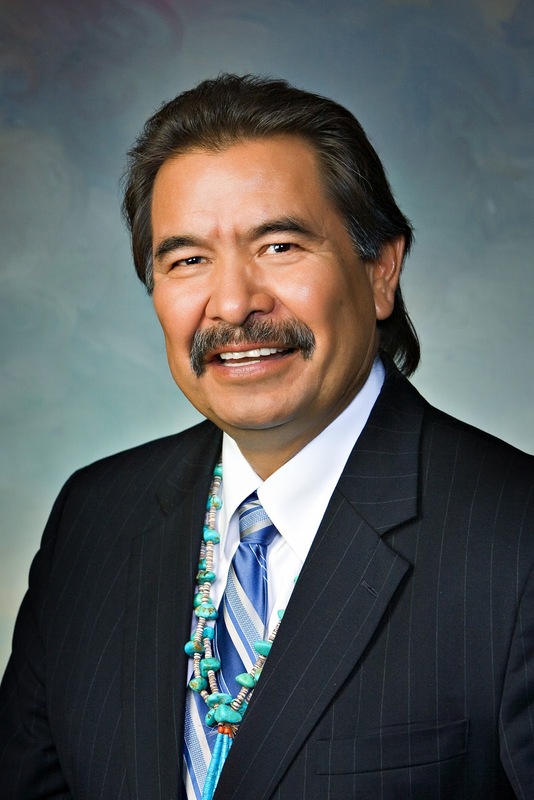 We have many new members this session, and it is important for them to know how state laws affect each and every Tribe or Nation,” Gonzales said. At the meeting, Valerie Spicer, executive director of the Arizona Indian Gaming Association, told the caucus that tribal gaming has created more than 15,000 jobs and has an economic impact of more than a billion dollars since 2002. Elaine Smith, a senior economist for the Arizona Department of Revenue, also presented at the meeting. She shared information on the collection and distribution of sales tax in the state. In 2014, Indian Nations collected about $45.6 million in sales tax revenues. This money goes to the state’s general fund but Indian Nations only received about $2.6 million of general fund support from the state for Dine College and Navajo Technical College. “Today’s discussion of the revenues generated on Indian Nations hopefully opened the eyes of the legislators that Indian people do pay state taxes yet very, very little of the revenue is returned to Indian Nations. I am hopeful that eventually the legislators will correct this inequity, an inequity that perpetuates colonialism concerning Indian people,” Hale said. Rep. Jennifer D. Benally, D-Tuba City (District 7), said she hopes legislators continue to attend the caucus’ meetings. 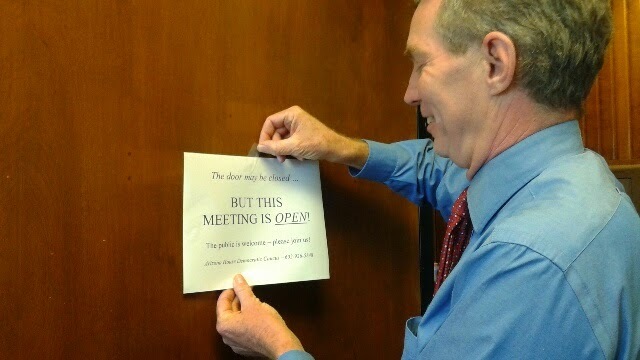 “This was a productive meeting. I hope we keep this dialogue up and that people continue to ask questions about what is going on in Native American Nations in Arizona,” Benally said. 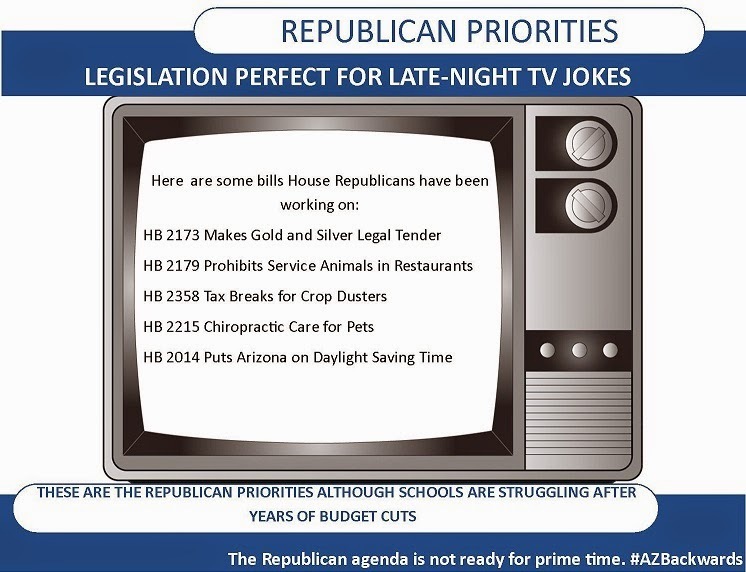 The Arizona House Republicans have been very busy pushing an agenda that is perfect for late-night television jokes. SB 1460 amended to make silencers, sawed-off shotguns and nunchucks legal. Right now, school superintendents are rallying parents to call legislators because the governor’s proposed budget would slash classroom spending – which means there will be less money for teachers and textbooks. And some schools have already laid off teachers. 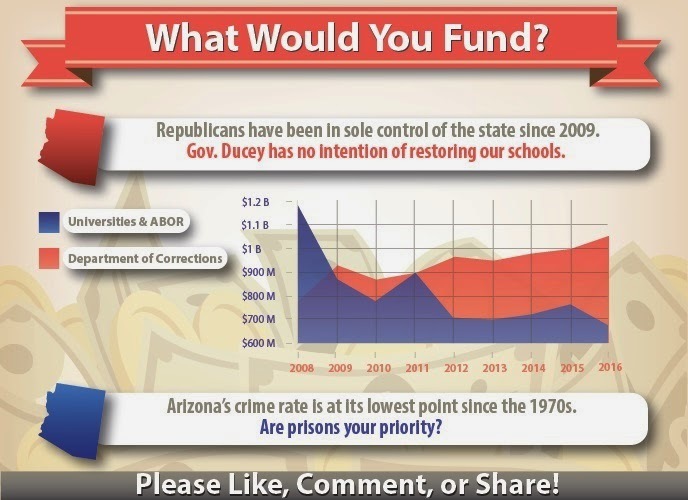 Arizona’s economic recovery has lagged behind other states while Republicans continue to cut education funding. We don’t think so. Any real economic recovery plan will invest in education. 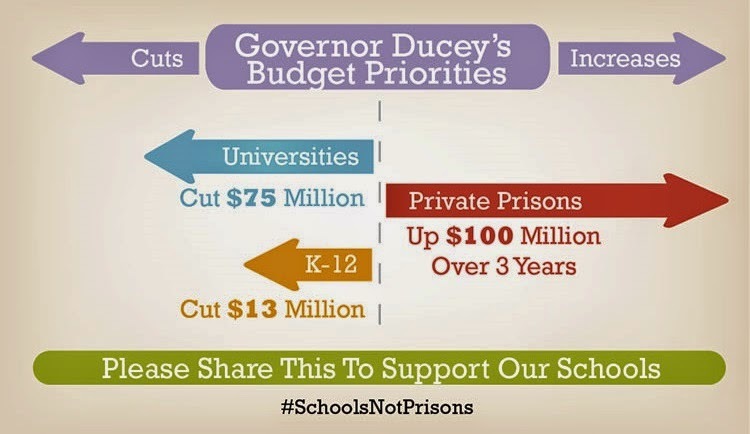 It’s the only way Arizona kids will have the tools needed for higher education and for the 21st century jobs. That is a point that seems to be lost on Republicans. It’s clear - they’re just not ready for prime time. 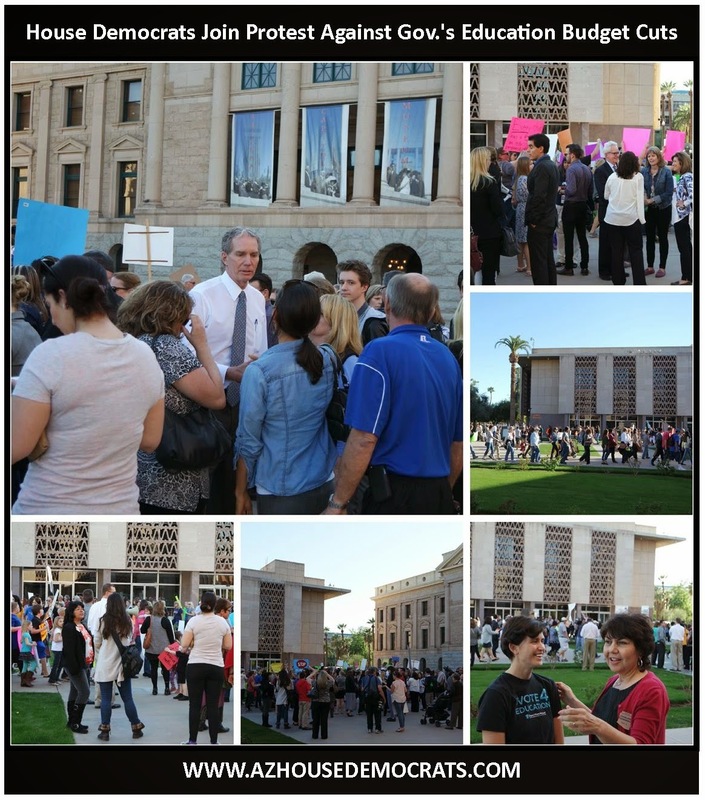 Click here to learn how to make sure your voice is heard at the Capitol. STATE CAPITOL, PHOENIX – Rep. Jennifer Benally, D-Tuba City (District 7), recently spoke out against a bill that would make it harder to protest some liquor license applications and transfers. 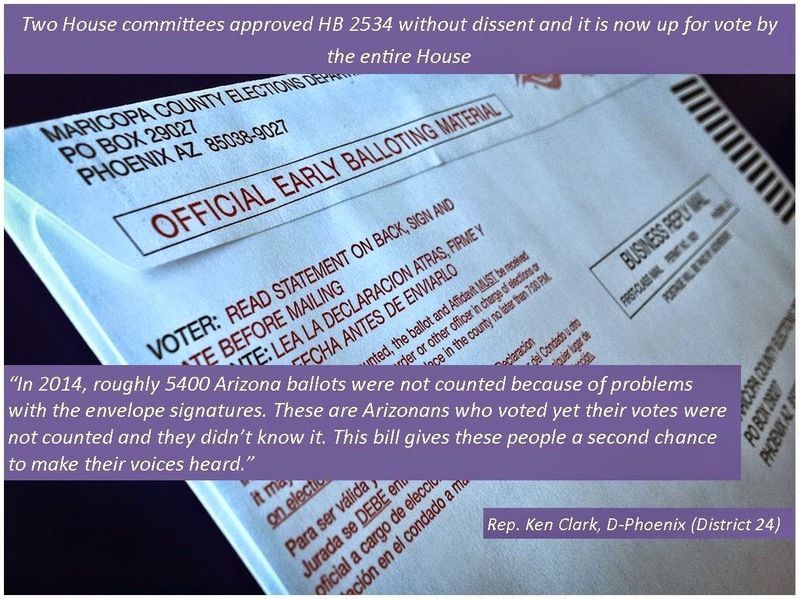 The Arizona House of Representatives recently passed HB 2359, which would increase the number of people needed to trigger a public hearing to review liquor license applications or transfer of existing licenses. Currently, it takes only one person living within a mile of the business to protest. If HB 2359 becomes law, it will take five percent of all the people living within that one-mile radius. Benally added that this issue is especially important to Native American communities. 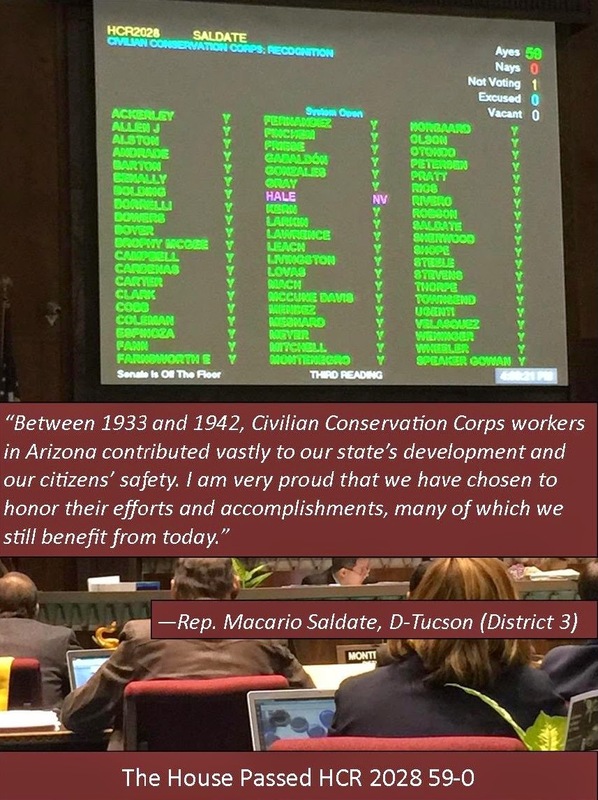 HB 2359 passed the Arizona House by a vote of 33 to 25 and now awaits action in the Senate. 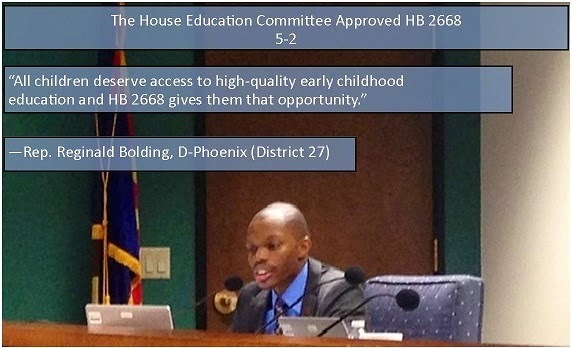 STATE CAPITOL, PHOENIX – Today, the House Government and Higher Education Committee approved HB2157 unanimously. 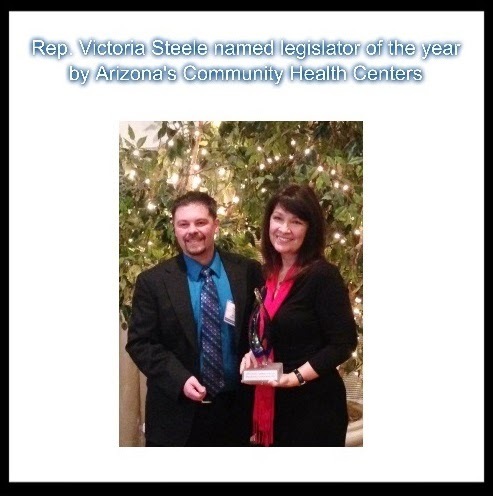 Rep. Albert Hale, D-St. Michaels (District 7), introduced the bill, which would codify recent action by the Arizona Department of Health Services to make it easier for Native Americans to obtain a delayed birth certificate in the state. 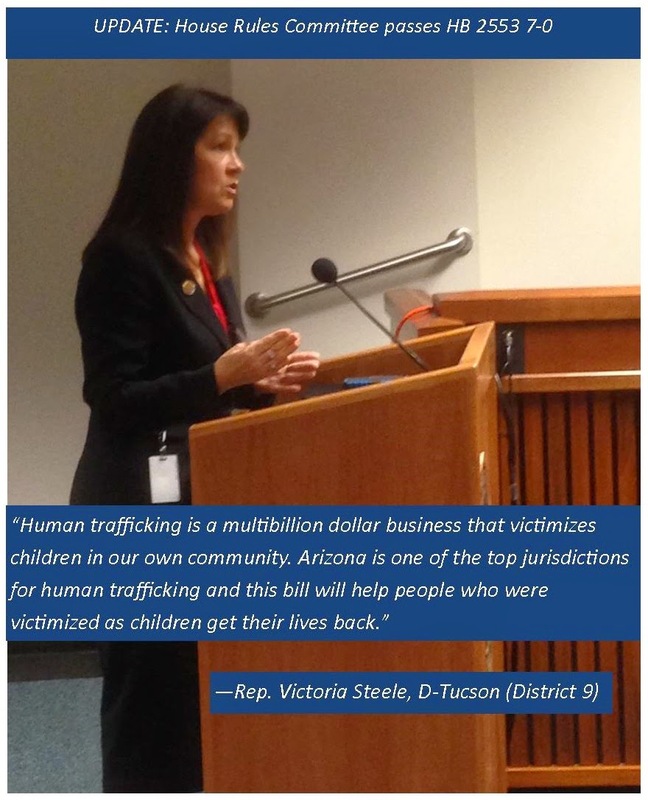 Rep. Victoria Steele, D-Tucson (District 9), similarly stressed the value of birth certificates and the positive impact this bill would have on Native Americans in the state. 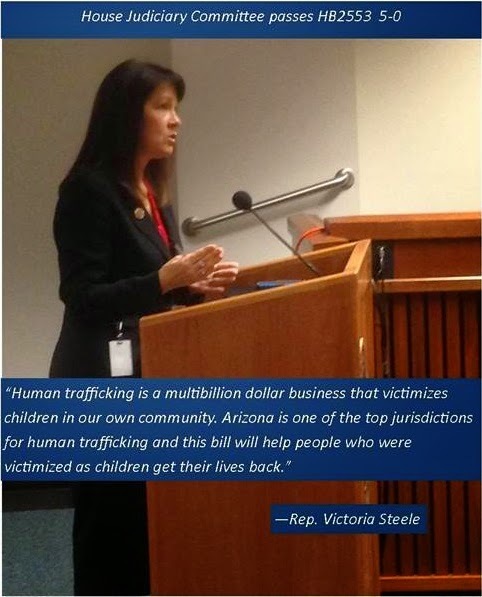 Coconino County Supervisor Lena Fowler testified in support of the bill today. She highlighted the difficulties people face trying to collect the documentation currently needed. Fowler added that the new process will help all 22 Native American tribes in Arizona. Michael T. Allison, the Native American liaison for the Arizona Department of Health Services, added that this process was developed in consultation with all 22 tribes. There were two official tribal consultation meetings in July and September of 2014. 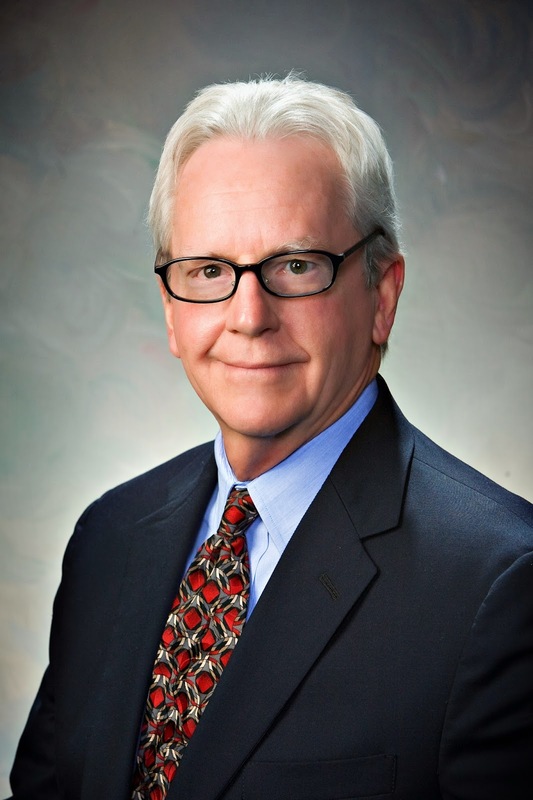 Hale, Fowler and Allison expressed gratitude to the House Government and Higher Education Committee Chairman Rep. Bob Thorpe, R-Flagstaff (District 6), and to all members of the committee. 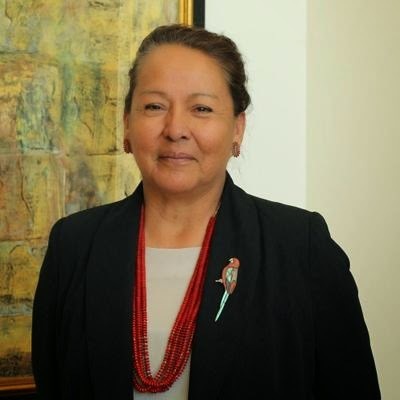 Rep. Benally, D-Tuba City (District 7), expressed strong support for the bill and reiterated the impact it would have for many Native Americans in Arizona. 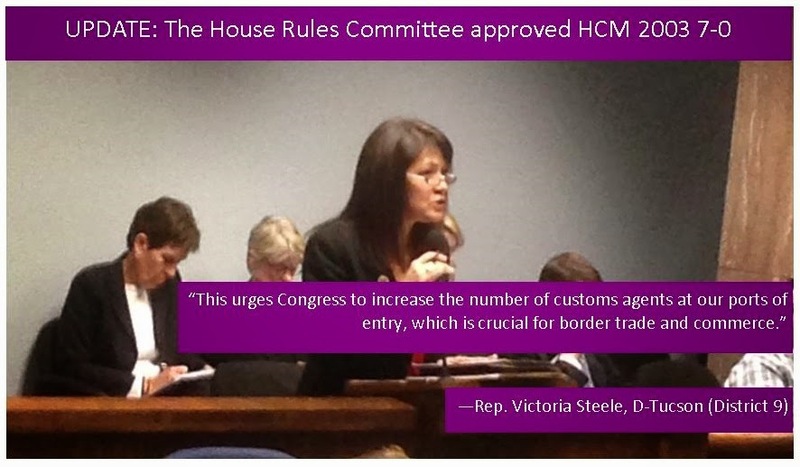 The House Rules Committee will also have to approve the bill before it can be voted on by the entire House. 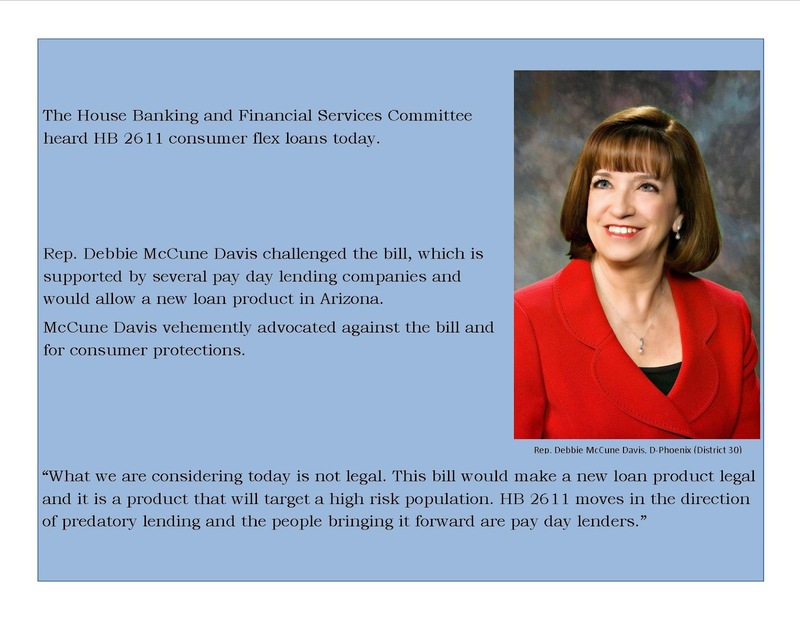 The full text of HB2157 can be found here. It's time to educate, not incarcerate! You’ve seen the headlines. At the same time prison inmate numbers are decreasing in other states and crime rates are going down here, the governor wants to spend $100 million on a new private prison. 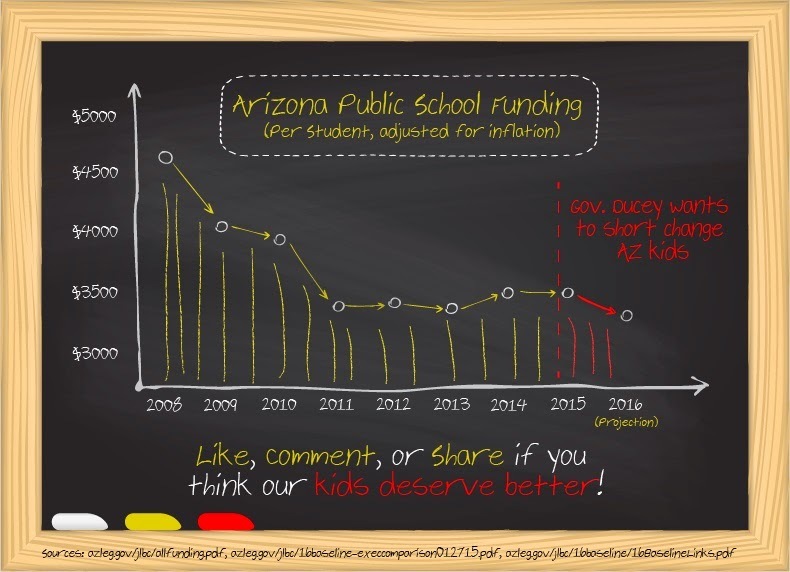 And this comes at a time when the Joint Legislative Budget Committee acknowledges that, when adjusted for inflation, we are spending more than $1000 less per student in Arizona this year than we did in 2008. The contrast in tone of two presentations before the House Appropriations Committee this past week clearly defines what we’re up against. Dept. of Corrections Director Charles Ryan advocated with conviction for 300 additional prison beds, even though his remarks included the information that there is currently space available at some state prisons -- and we’re hearing now from our county sheriffs that their jails have vacancies, too. Without apology, Dept. of Education Chief of Staff Michael Bradley described our education system as “poor” but remained steadfast that, although funding helps, “we will do what we can with the resources we have.” He was unwilling even to stand up for the court-ordered $330 million due our schools this year for inflation. It is possible to shift the priorities of the Legislature to address the reality our students and teachers live with in their classrooms. Class sizes are too high and teacher salaries are too low. Good teachers are leaving the profession. There should be no more talk at the Capitol about new prison beds. Instead, let’s make sure the message to fund schools and universities is heard from people all across our state. It’s time to educate, not incarcerate! Arizona cannot afford to continue to cut public schools and state university funding and expect to support the job growth needed to be economically competitive in the 21st century. 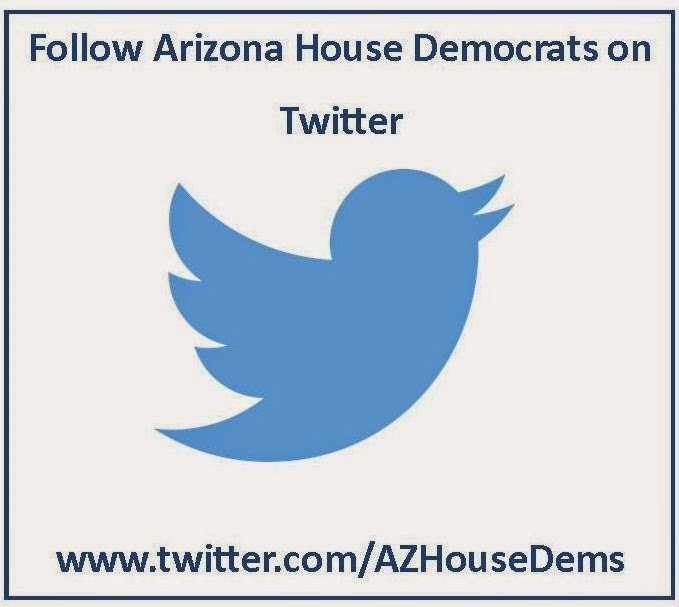 The governor’s budget does not reflect the right priorities, and House Democrats are ready for a fight -- but to win, we need help spreading the word. 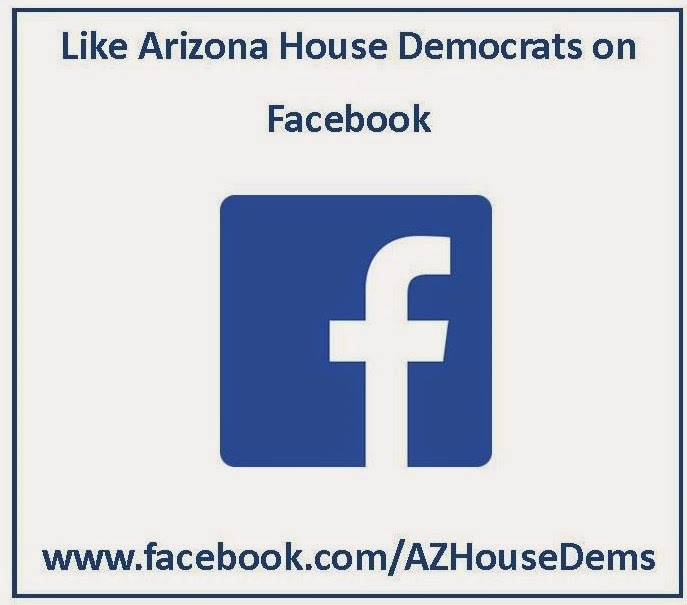 Follow us on Facebook and Twitter or visit our website, www.azhousedemocrats.com. Arizona Representatives Albert Hale, Victoria Steele and Sally Ann Gonzales, all members of the Native American Caucus, stand in solidarity with the Apache Nation and all Native peoples. Today, the Apache people held a peace walk to Sacred Oak Flat to protest a land swap included in the Defense Authorization bill recently passed by the U.S. Congress. 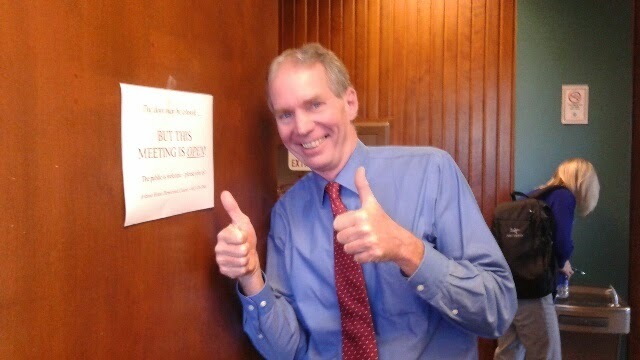 House Democrats voted to keep caucus meetings open to the public. Additionally, we are publishing a list of other meetings that we will continue to keep open because transparency and accountability are Democratic priorities.